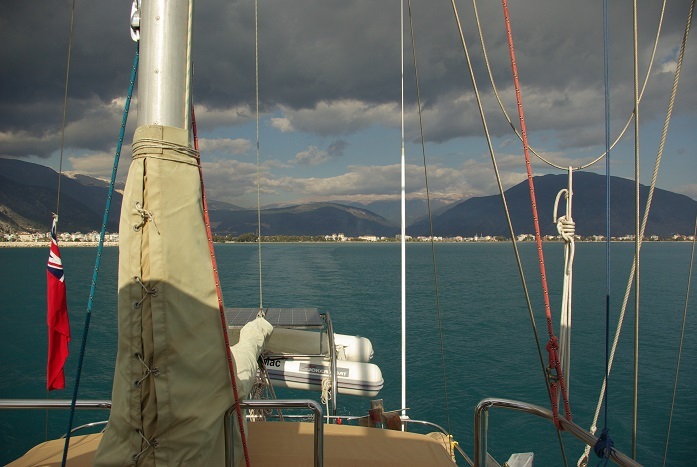 Arriving from Antalya to Finike after midnight Dec 28, Dora Mac was in a good shape.Ziya and his marina staff had helped us to connect shorepower,switch heating and fridge on making arrival a pleasant experience. We spent December 29 preparing DM for cruising and left on a flat ocean December 30. Mountains in the background with snow on the tops.